i love summer flowers and wish i had room for a cutter garden. there is nothing like bringing the outdoors in at any time of the year to get that summer feel. 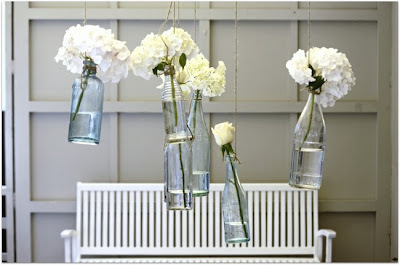 i am always on the lookout for new, fresh ways to display flowers and love ideas for recycling the old into a new use. oh wow, all those vintage shoe lasts i have been selling. i could have been making these. or clustered on a table or mantle. 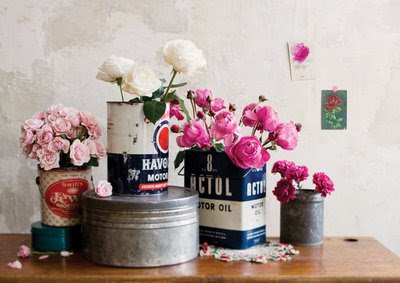 and what a lovely use for those old tins you've been collecting. 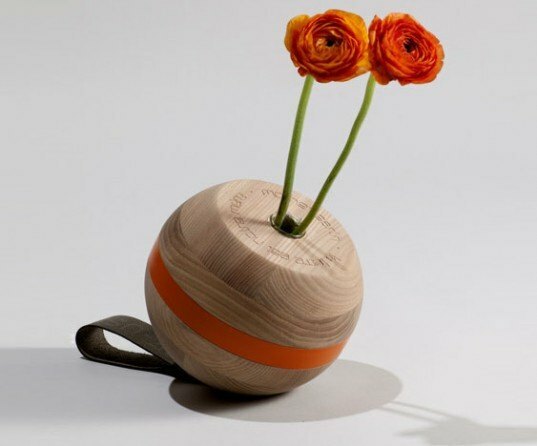 do you have a favorite old item you love to use to display flowers? I'd love to hear about it. 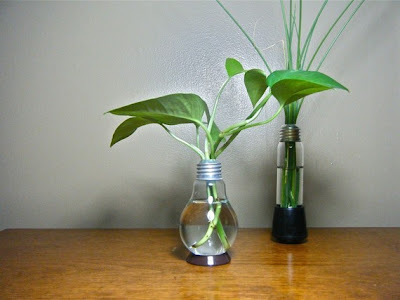 Those lightbulb vases are awesome! I can honestly say I've never seen that before. Love the painted red watering can! 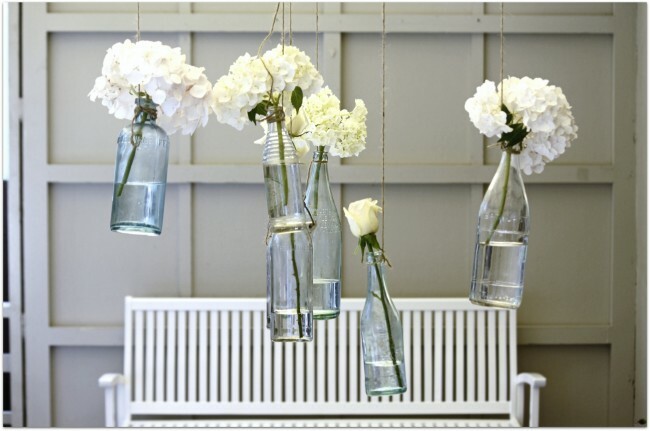 Love the flowers and what cute ways to display them. 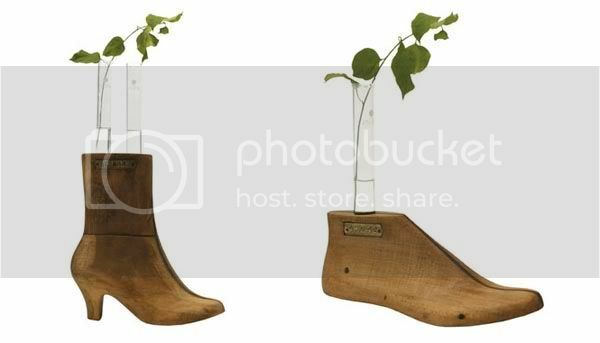 Wow, now you really have me thinking about what other things I could use for vases. You really found unique containers! Great ideas for flowers, I especially like the old tins. Thanks for dropping by my blog this morning and I am your newest follower too! Oh gosh, I love it all!! And I'm your newest follower! Hello, Laura. So nice to meet you. I love those flowers displays. So clever. My favorite, although maybe not the most unique,would be the old tins. Adorable! Following you now too. These are all fabulous displays. I especially love the old bottles! Happy White Wednesday! Drop by for a visit when you get the chance.